For businesses to be successful, they need effective communication tools to better understand the cus­tomers need and develop good mar­keting strategies. Last week Saturday’s edition saw how technology has be­come heavily embedded in our daily activities. My previous article discussed about six topics that were presented at the inaugural National Confer­ence on Information Technology (NCIT) hosted by National Training and Productivity Centre (NTPC) at the Pearl Resort on 8th March 2019. This article is a continuation of the discussions that transpired at the conference, talking about the different aspects of technology and communications that has infiltrat­ed our industries, thus changing the way we do things. 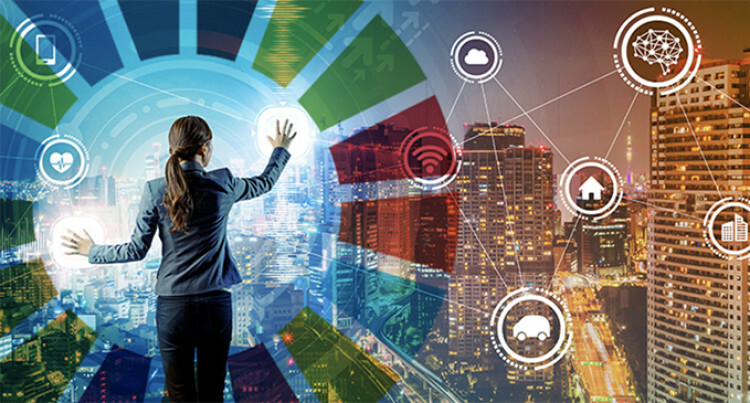 In the 21st century, Industry 4.0 connects the internet of things (IOT) with manufacturing tech­niques to enable systems to share information, analyze it and use it to guide intelligent actions. Managing Director of Kastel Tech­nologies Karunesh Mani, who was one of the nine presenters at the conference, said that it also incor­porates cutting-edge technologies including additive manufacturing, robotics, artificial intelligence and other cognitive technologies, ad­vanced materials, and augmented reality, according to the article “Industry 4.0 and Manufacturing Ecosystems” by Deloitte University Press. With current advancements, peo­ple choose what data and informa­tion is made available publicly, people communicate with others through telecommunication medi­ums. Programme Manager of Pacific Financial Inclusion Programme (PFIP) Bram Peters said that PFIP is joint UNCDF-UNDP programme designed to support financial in­clusion in the Pacific region with the specific focus on innovations in digital financial services. Fintech Challenge will promote innovations in financial services for the Pacific to address emerging development challenges, connect­ing incumbent market players with Fintechs and cultivating nascent Pacific Fintech scene. Professor Mohini Singh, Pro Vice Chancellor Research with Fiji Na­tional University highlighted that IT innovation has evolved from e-busi­ness and e-government services to Internet of Things (IoT), FinTechs, Blockchains, Artificial Intelligence, use of APIs (application program­ming interfaces), Open Innovation and Open Organisations. Due to these technological develop­ments she said that petabytes and terabytes of data (Big Data) are em­anating, due to which addressing is­sues of data velocity, volume, verac­ity and variety for Data Analytics is a critical requirement for timely insights and for informed decisions. She explained that IoT’s are used in smart homes, buildings, offices and infrastructure for cost efficien­cies. She explained that FinTech is a new wave of financial startups that support financial transactions shifting power to the people who need banking and not banks. Will Fintechs disrupt the banking sec­tor in the same way that Air BNB is disrupting the hotel industry and Uber disrupting the taxi business she said is yet to be seen. Ms Singh said that Artificial Intel­ligence automate repetitive tasks such as scheduling meetings, and in multiple tasks for example Cortana, Siri and Alexa. Implications of tech­nological developments in Fiji she highlighted by stating that 82 per cent of our population are educated in English, almost 75 per cent have access to mobile phones, and almost 50 per cent are social media users. Ms Singh said that Fiji needs to capitalise on the knowledge of ‘English’ and ‘level of education’ to embrace technology in becoming a networked and smarter society, and to become the Technology Hub in the Pacific. The Department of Information Technology conducted a training course on Certified Information Systems Security Professional (CIS­SP) after the conference which was attended by ICT professionals from various industries across Fiji. This course was designed for pro­fessionals who are responsible for information security and maintain­ing conformance with Informa­tion Security Management System (ISMS) requirements. Digital Marketing is a modern way of promoting products and services. Finally making better decision by taking into consideration the ad­vancements in technologies which connects people all over the world. Businesses also need to ensure that their staff/employees have re­quired computer skills. Businesses also need to ensure that their staff/employees have required computer skills. Despite the vari­ous types of business, the Depart­ment of Information Technology at National Training and Productiv­ity Centre, can assist your business with the required computing skills. NTPC will be able to customize the trainings to meet your business re­quirements.